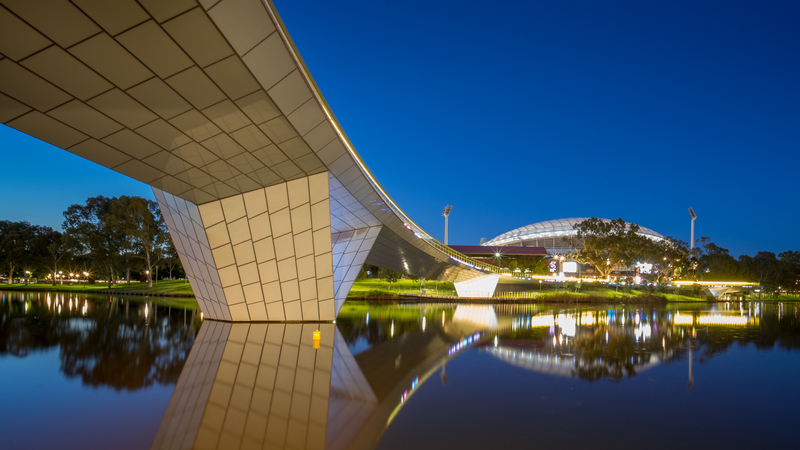 This shows the footbridge that connects the Adelaide CBD with the Adelaide Oval. Access is easy. You can drive, bus, tram or walk to the area.